Sub meters allow members to track the usage for their electric heating and receive a discounted rate for those Kwhs. The discount rate for electric heating is $.056 per kilowatt hour. This discounted rate is offered by Basin Electric Power Cooperative to Central Electric, which we can pass on to our members. What qualifies for the discounted rate? Qualified equipment includes boilers, geothermal heat pumps, air source heat pumps, and electric baseboards heaters. If a home qualifies for the discounted rate, the water heater and A/C system are also allowed to receive the discount if they are connected to the load management system. What is the cost to install a sub meter? How do I have a sub meter installed? Contact our office. If you are installing an electric heat pump or any other type of electric heating equipment, please notify our office so we can verify that our transformer and main electrical equipment are sized appropriately. We also ask that you call a second time when the electric heating equipment is installed. We need your notification to tell us you are ready for the sub meter to be installed. Please do not assume that because we have upgraded your transformer that we have scheduled your sub meter installation. We are not able to track everyone's installation progress and rely on our members to call us. We are not able to give credit for kilowatts used prior to the sub meter installation. Do you have a sub meter that is no longer in use? If you are no longer using your sub meter, please contact us to request that the sub meter be removed. We can use this equipment at another location instead of purchasing more meters. We track each sub meter for daily readings, so having sub meters that do not measure anything is an added expense to the cooperative that no one benefits from. Is my sub meter working? 1) Is the breaker to the sub meter turned off? If it is, the meter will be blank and no kilowatts are being recorded. 2) Is the screen blank or only partially reading? If the breaker is turned on, a blank or partial reading could be the sign of a faulty sub meter. Contact us as soon as possible. 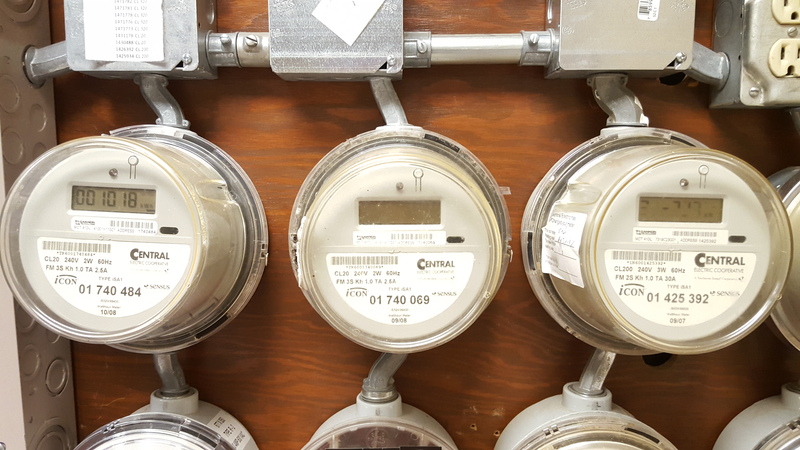 The far left shows a properly working meter. The middle and right show a meter that has no reading or a partial reading. These are signs of a faulty meter.